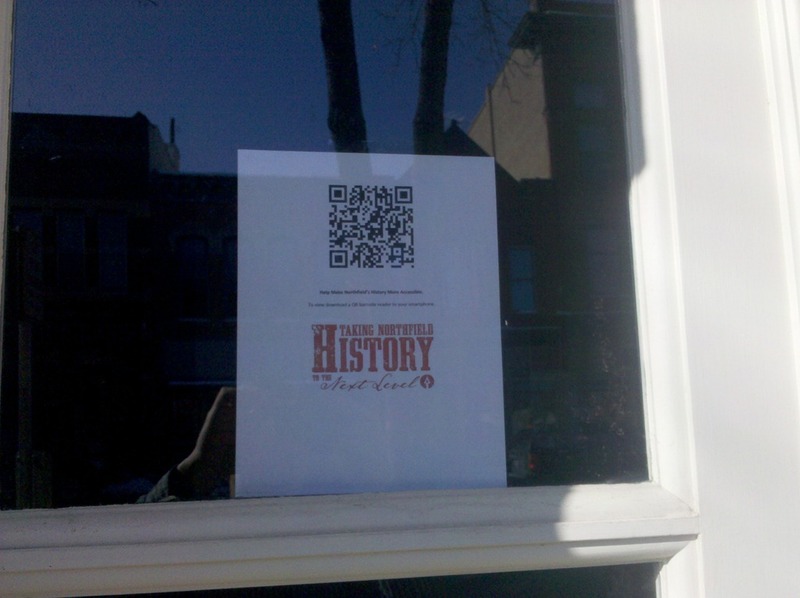 Hey Griff, I saw a story over the weekend about a town in Florida using a version of QR Codes for tourism. That reminded me about your blog post: A QR Code makes its appearance in the January NEG. How else might the codes be used? So I wanted to look into how they work. I found out they are really easy, so I did this one for our capital campaign. Now, that I know how easy they are I am going to do a few more for other areas of the museum. Hayes attached a camera phone photo of a Next Level campaign flyer (with QR code on it) in the window of the NHS. 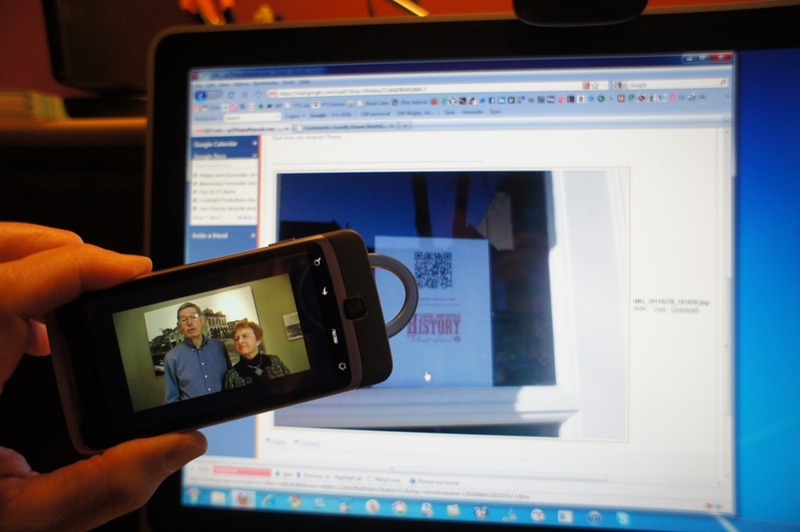 I aimed my smartphone at the image attachment on my PC and within 5 seconds (photo above right), a YouTube video started to play, Taking Northfield History to the Next Level, featuring Corrine and Elvin Heiberg.